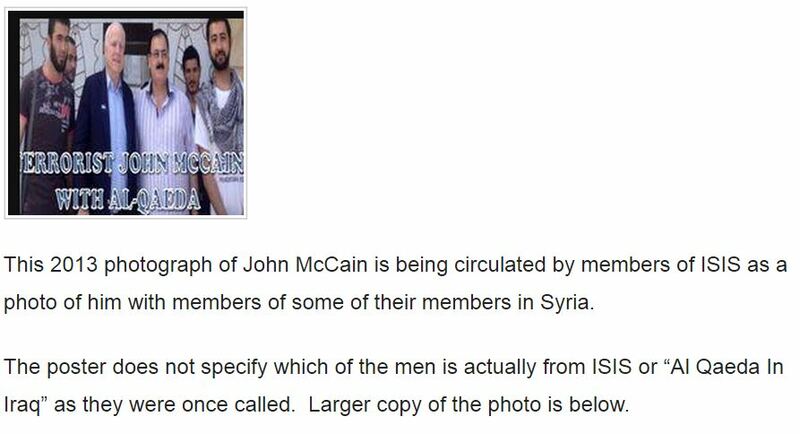 Partial screengrab from the Weasel Zippers post on the McCain photo. A couple of days later, Politico published a photo from the visit, identifying Mouaz Moustafa of the Syrian Emergency Task Force (he is now listed as their Executive Director). Wielding a charge that’s been largely refuted, Sen. Rand Paul, R-Ky., over the weekend took a swipe at his fellow Republican, Arizona Sen. John McCain, for his clandestine meeting last week with Syrian rebels. “I’m very worried about getting involved in a new war in Syria,” Paul said Saturday night while taking questions at the Reagan Library in Simi Valley, Calif. Syrian President Bashar al-Assad is “a bad guy – he is,” the Kentucky senator continued, but cited al Qaeda and additional extremist groups “on the other side” as a reason to give the United States pause before engaging militarily. In a piece summarizing the current state of intelligence, the AP reveals how uncertain US intelligence is about chain of control over Bashar al-Assad’s chemical weapons. Intelligence officials say they could not pinpoint the exact locations of Assad’s supplies of chemical weapons, and Assad could have moved them in recent days as U.S. rhetoric builds. That lack of certainty means a possible series of U.S. cruise missile strikes aimed at crippling Assad’s military infrastructure could hit newly hidden supplies of chemical weapons, accidentally triggering a deadly chemical attack. Over the past six months, with shifting front lines in the 2½-year-old civil war and sketchy satellite and human intelligence coming out of Syria, U.S. and allied spies have lost track of who controls some of the country’s chemical weapons supplies, according to one senior U.S. intelligence official and three other U.S. officials briefed on the intelligence shared by the White House as reason to strike Syria’s military complex. 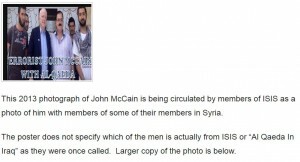 All spoke on condition of anonymity because they were not authorized to discuss the Syrian issue publicly. 8 days after an attack they say they’re certain came from Assad loyalists, the intelligence community says it doesn’t know where all the CW are, doesn’t know who controls it all, and has questions about whether rebels seized (or took) CW after they were moved into place by Syrian forces. With that in mind, I want to return to the stunning report from NBC last night that casually quotes General Salim Idris, head of the Free Syrian Army, claiming he has “sources” in Assad’s inner circle. Salim Idris, commander of the Free Syrian Army, said sources in Assad’s inner circle tell him that’s exactly what happened. Idris also indicated that pressure also has been growing on Assad to respond to a series of rebel advances. Not only does the report show Idris claiming — effectively — that people in Assad’s inner circle are so disloyal that they not only continue to communicate with him, but provide key intelligence about how much pressure Assad is under.